paneer capsicum recipe | paneer capsicum curry masala | paneer gravy with detailed photo and video recipe. a simple and creamy north indian cuisine gravy is mainly made with cottage cheese and capsicum. 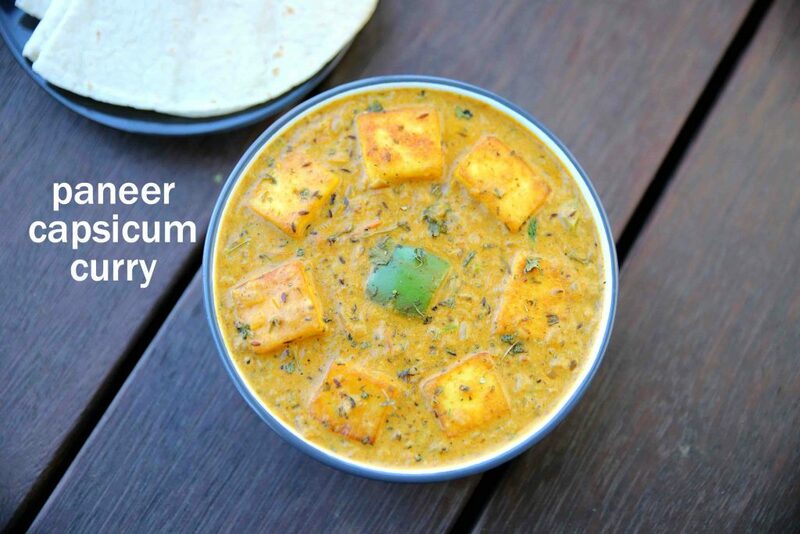 it is an easy and quick paneer curry which is ideal for serving with roti’s and chapati. 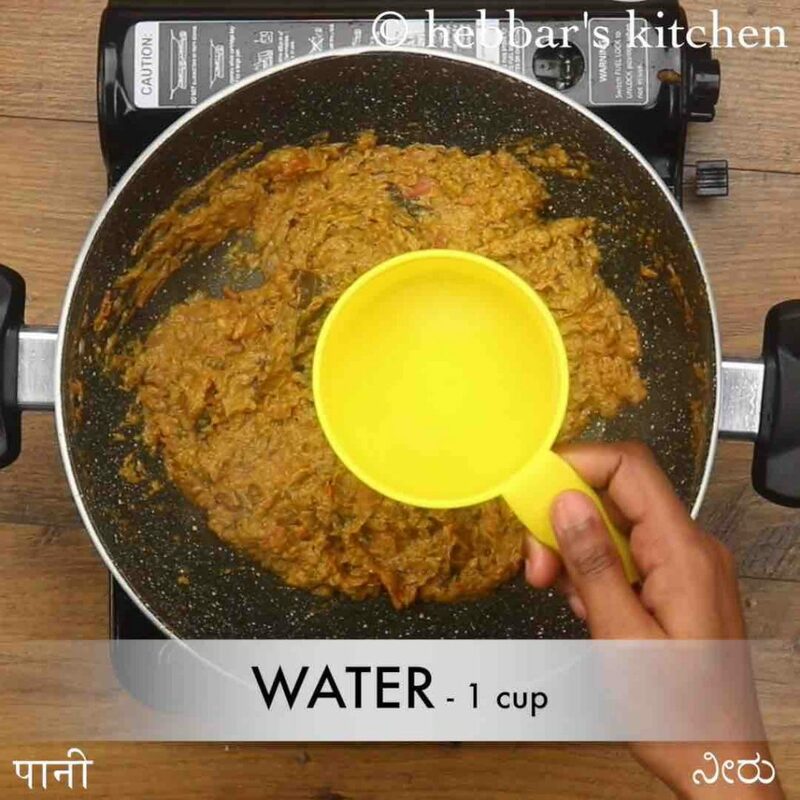 there are 2 variants for this recipe, i.e a dry and gravy one and this recipe belongs to later one. 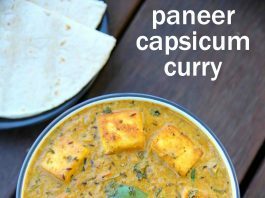 paneer capsicum recipe | paneer capsicum curry masala | paneer gravy with step by step photo and video recipe. 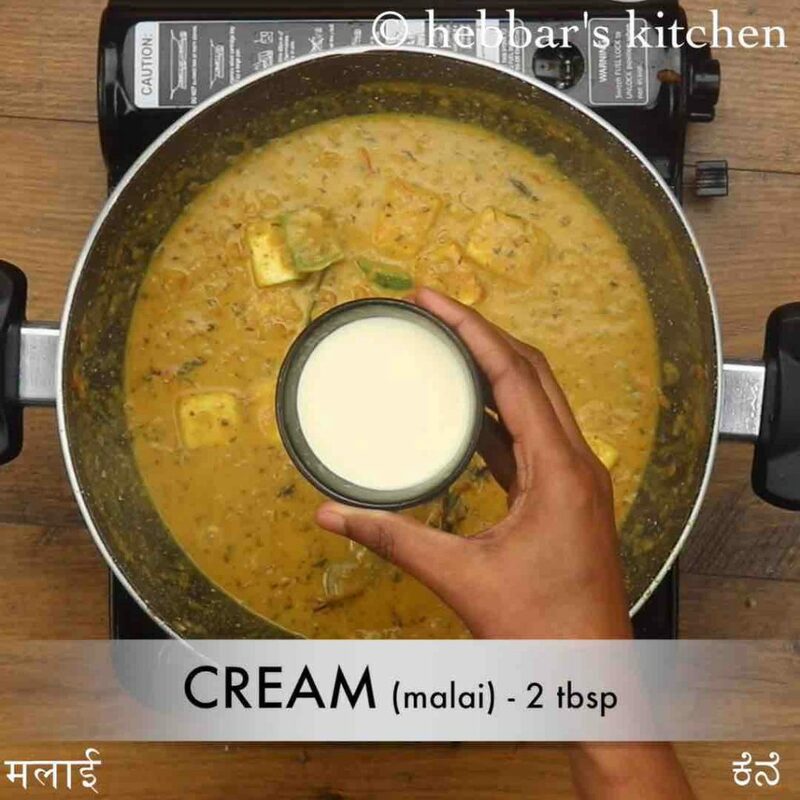 north indian cuisine is synonymous with rich and creamy paneer based curries or gravies. 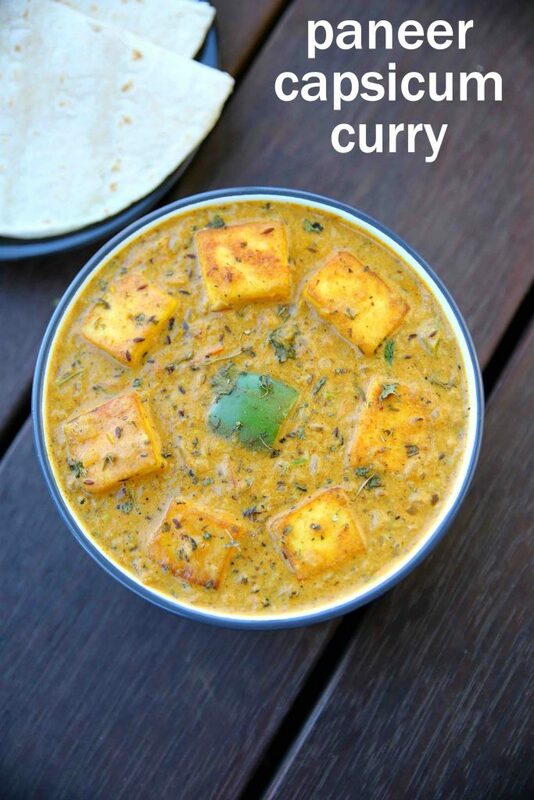 there are myriad variation within paneer curries which differs with spices and vegetables added to it. one such simple and easy curry is paneer capsicum curry masala, for day to day lunch and dinner. i get a lot of request for lot of fancy and popular paneer curries. 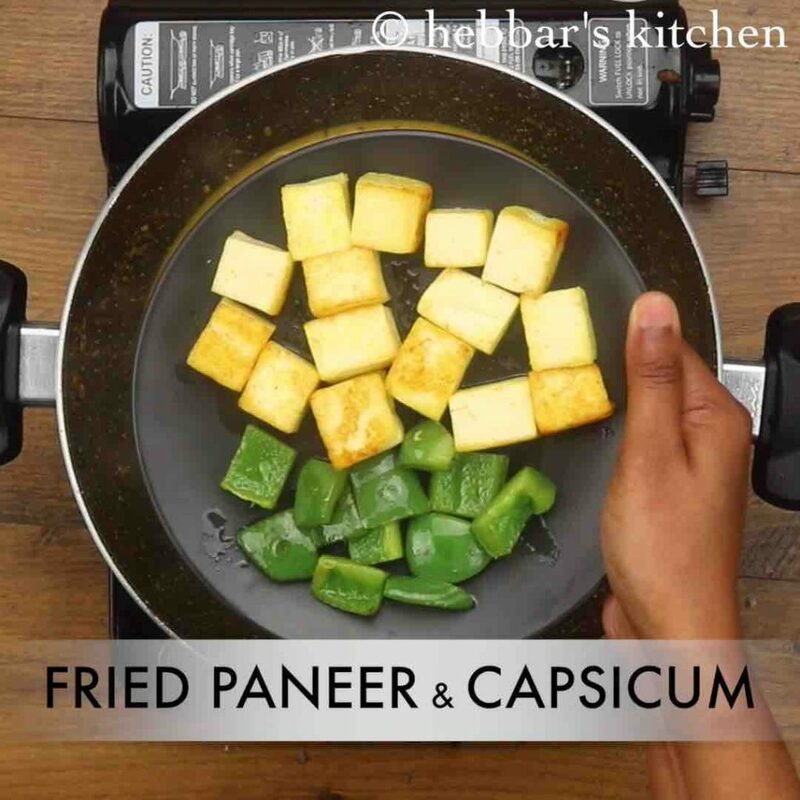 but i am disappointed that i did not get any request for this simple and easy paneer capsicum recipe. perhaps it is because, it lies in between of premium and inexpensive north indian curries. there is a perception that, preparing paneer and capsicum gravy requires a considerable amount of effort. yet yielding not so exorbitant curry. but with this post i want to clear the confusion once in for all. it is easy, less fancy and most economical paneer curries recipe. trust me this one of those curries which you can easily prepare on a day to basis. still you would not feel dull and uninteresting. 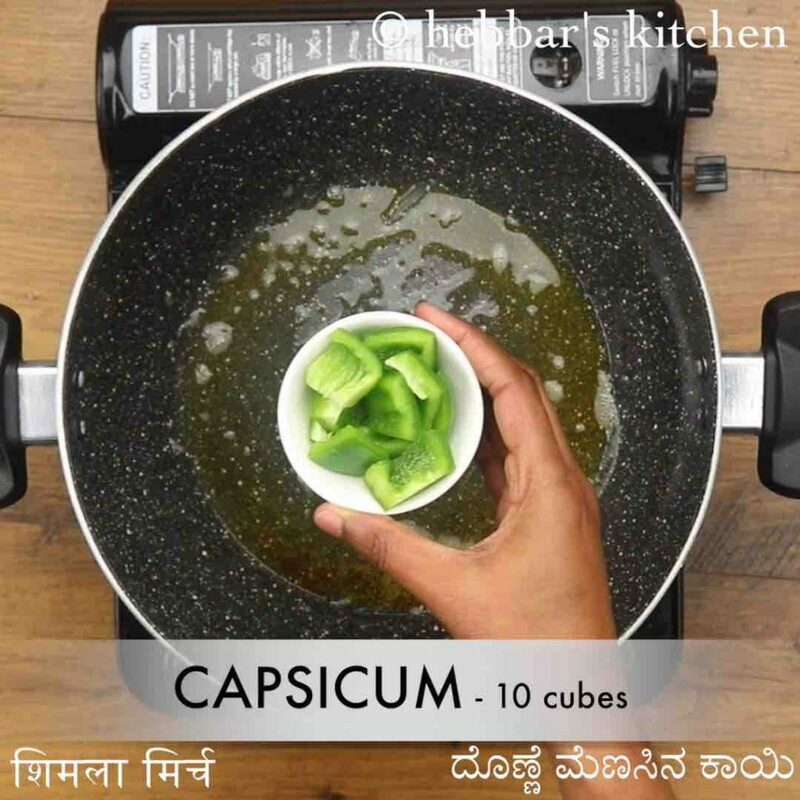 furthermore, some easy tips, suggestions and variations for the paneer capsicum recipe. 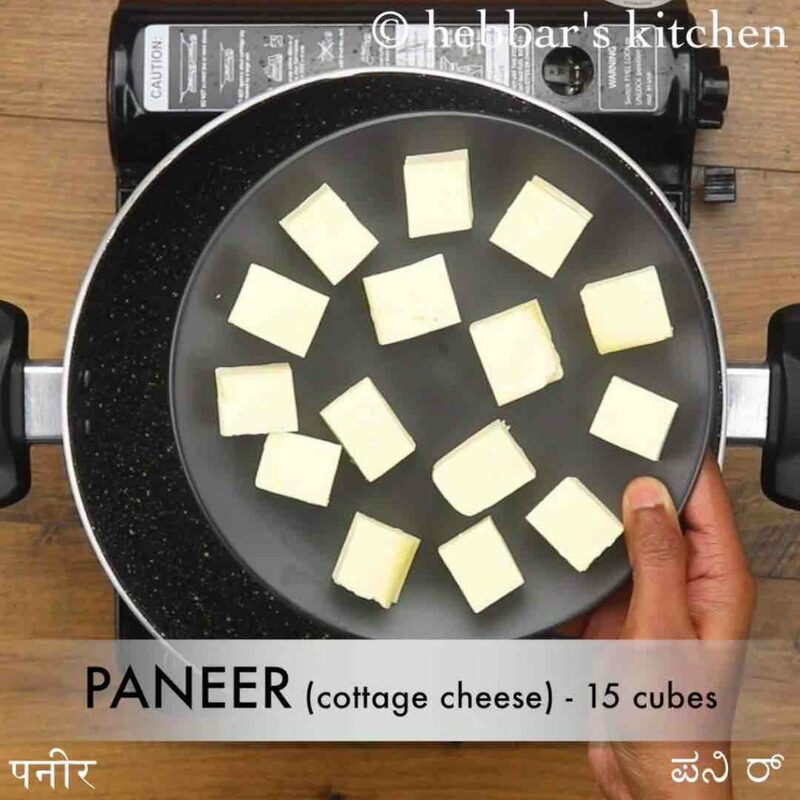 firstly, i would heavily recommend using soft and moist, preferably homemade paneer for this recipe. you can use store bought one, but ensure it is fresh and moist before buying it. secondly, the recipe can be easily extended with a choice of vegetables to the same curry base. perhaps, you can add, green peas, broccoli, carrots, beans and even potatoes. 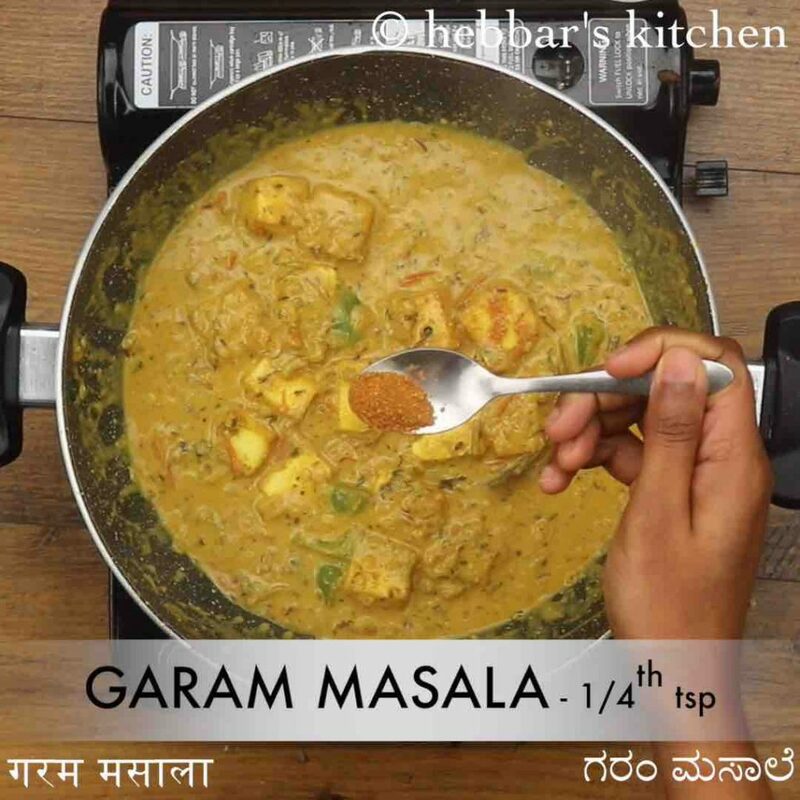 lastly, the same recipe can be made as a dry variant without the gravy masala. this can be controlled by limiting the tomato and onion based sauce. i would release this version in near future. 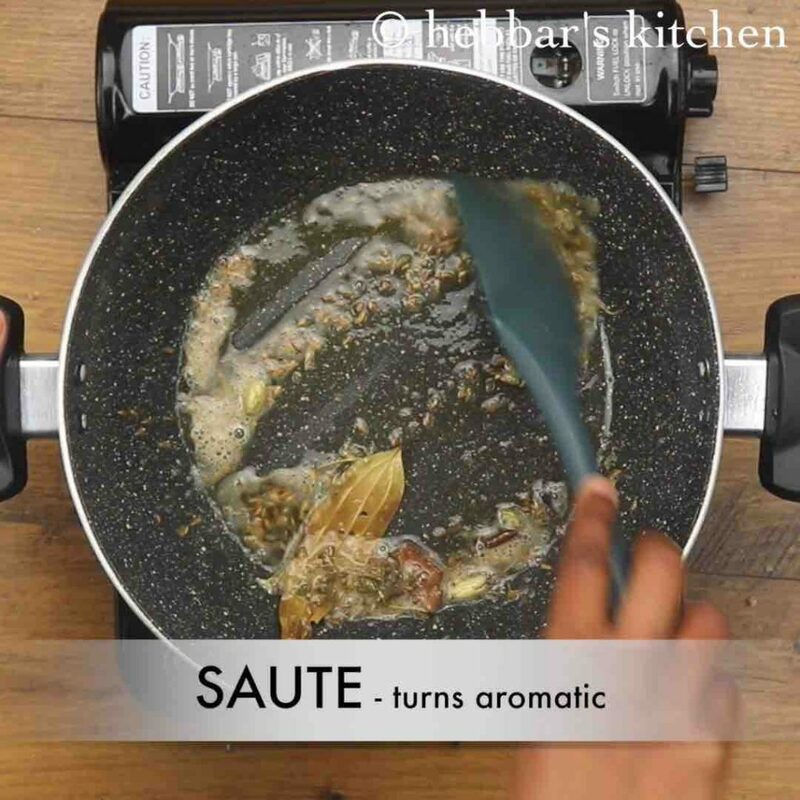 firstly in a large kadai heat 1 tbsp butter saute spices. 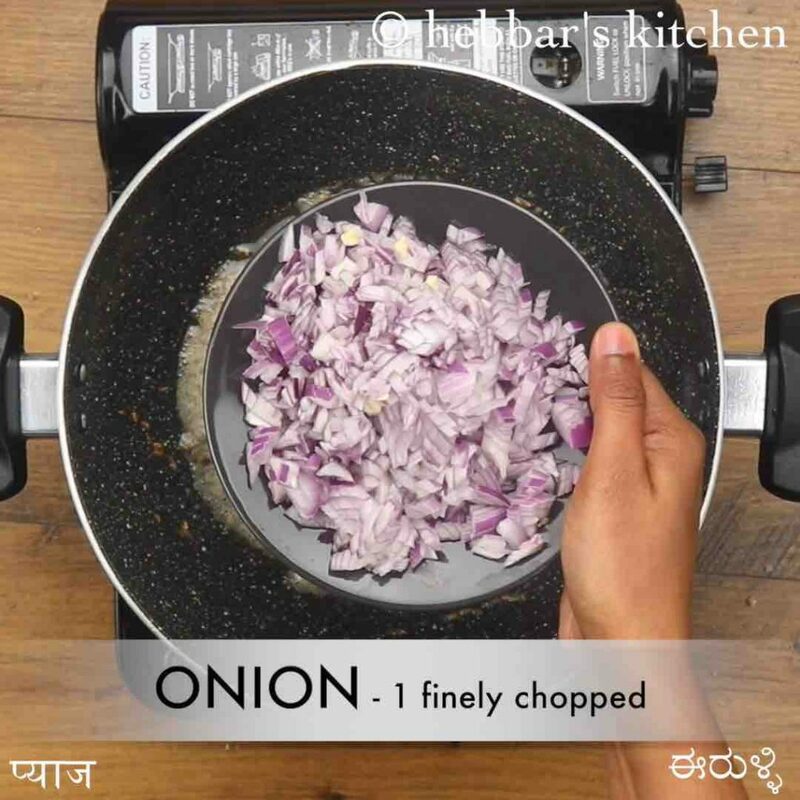 furthermore, add 1 onion, 1 tsp ginger garlic paste, 2 tbsp mint, 2 tbsp coriander leaves and saute well. 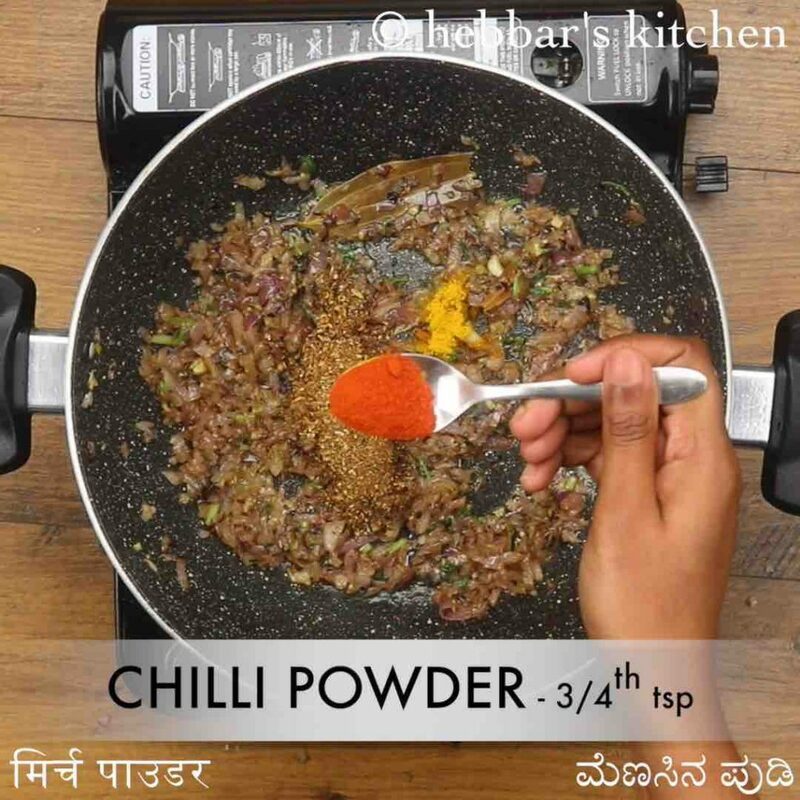 transfer the spice mix along with ¼ tsp turmeric, ¾ tsp chilli powder and ¾ tsp salt. now add 1 tomato and saute till they turn soft and mushy. furthermore, add 2 tbsp curd and 2 tbsp cashew paste. 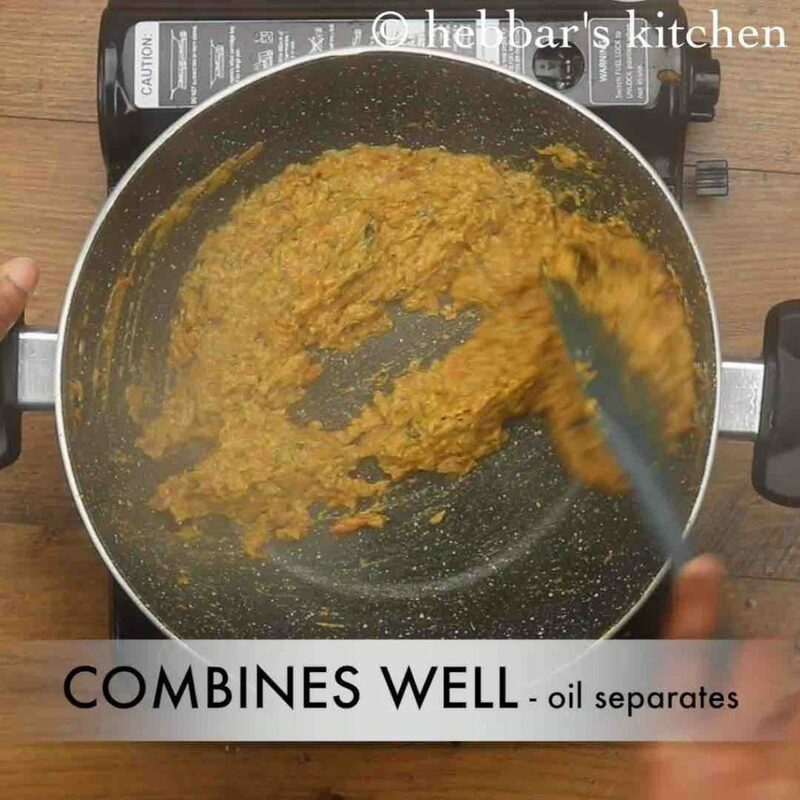 mix till the oil is released from masala paste. add 1 cup water and adjust consistency. 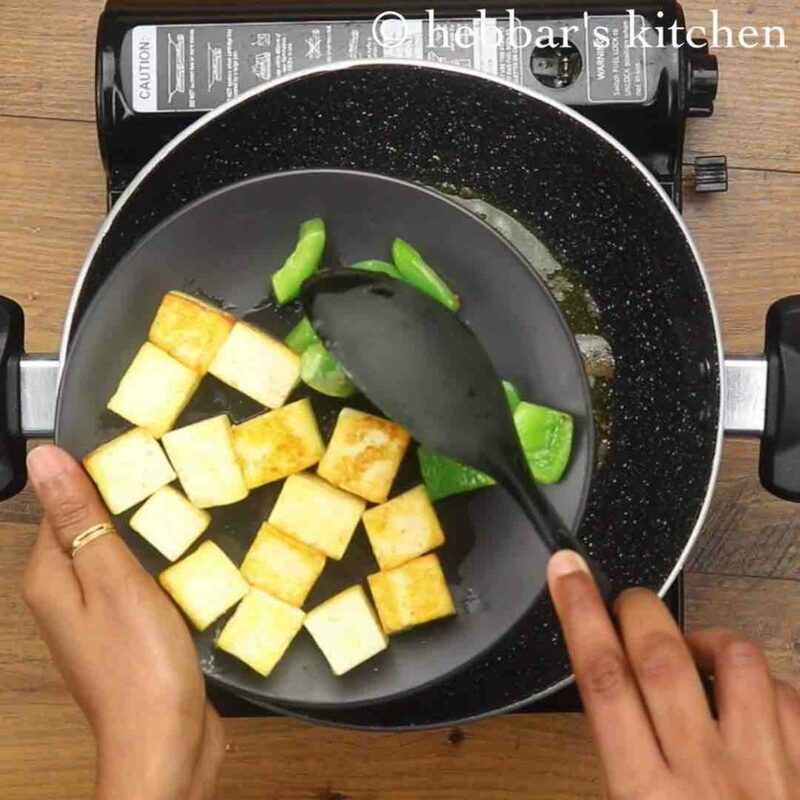 now add fried paneer and capsicum, mix gently. add cream, cover and simmer for 5 minutes. finally, serve paneer capsicum curry with roti / naan. 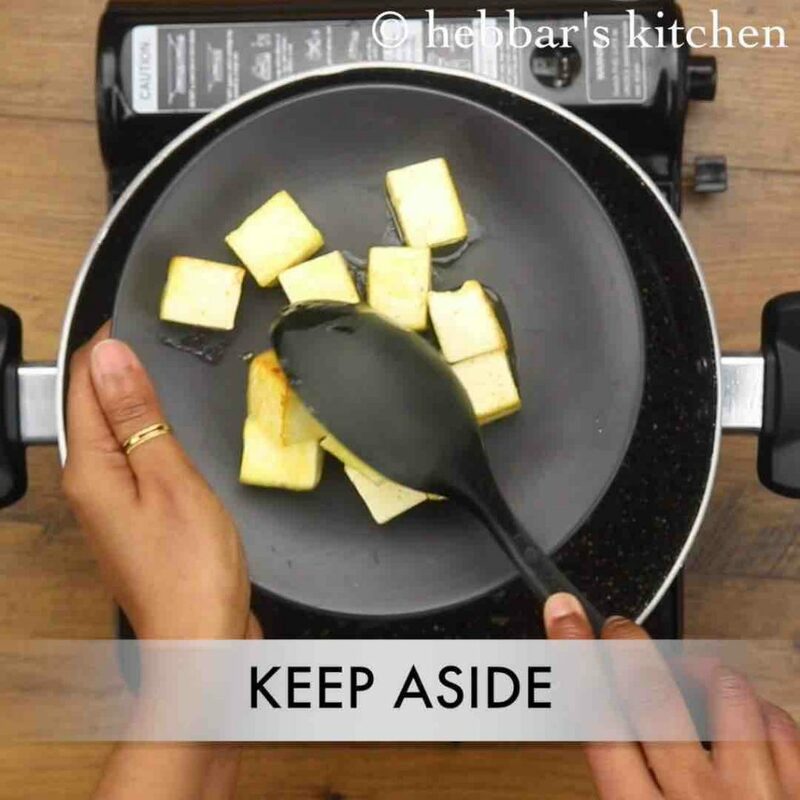 firstly in a large kadai heat 1 tbsp butter and roast 15 cubes paneer. roast until the paneer turns golden brown. keep aside. in the same butter, saute 10 cubes capsicum on medium flame. once the blisters appear on capsicum, keep aside. 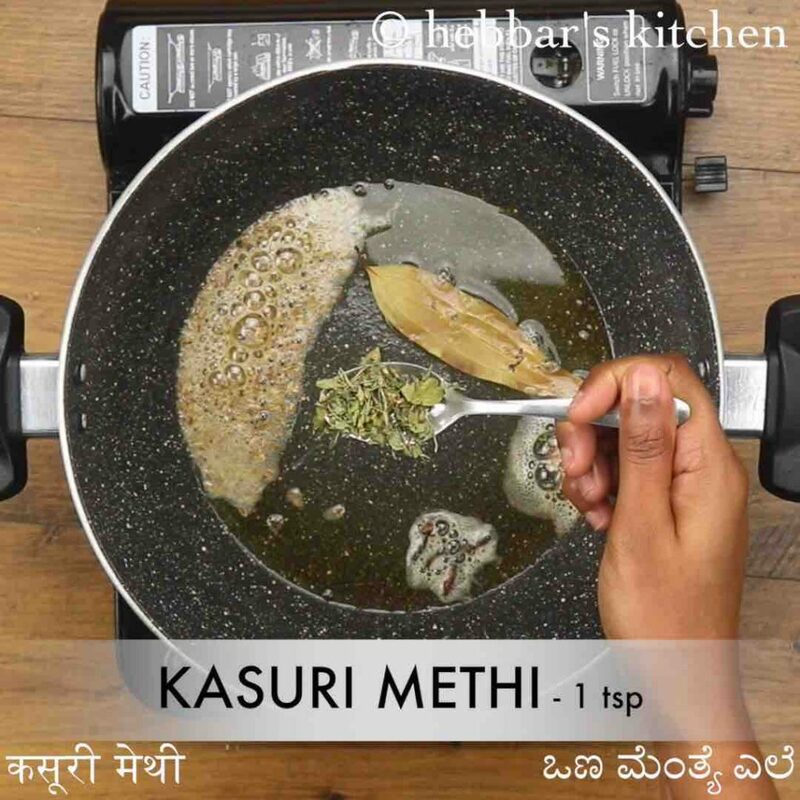 further, add 1 tsp cumin, 1 bay leaf / tej patta, 1 inch cinnamon, 4 cloves, 3 pods cardamom and 1 tsp kasuri methi. furthermore, add 1 onion and saute until it turns golden brown. 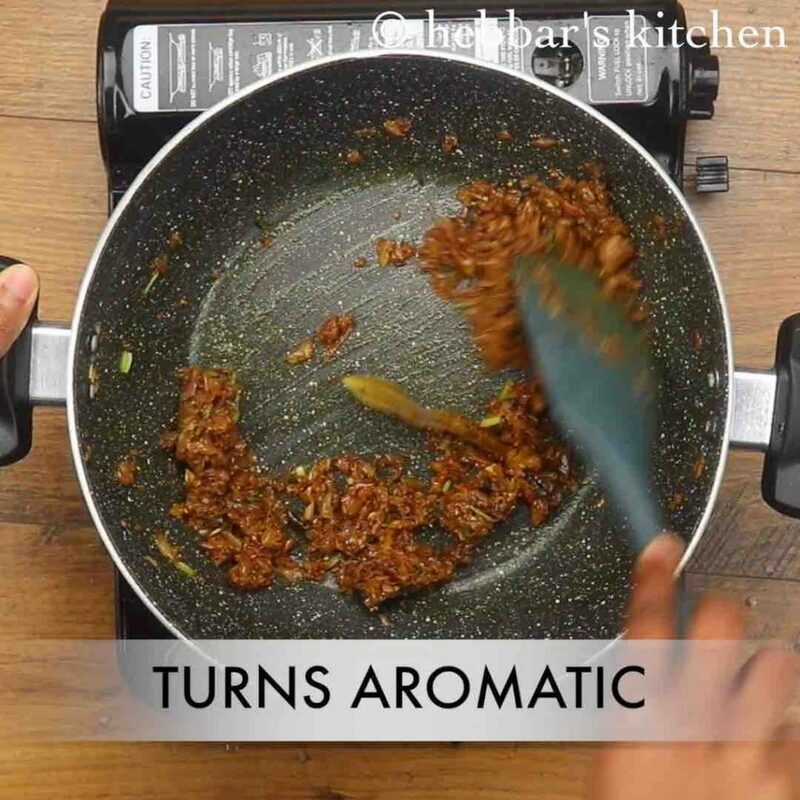 additionally add 1 tsp ginger garlic paste, 2 tbsp mint, 2 tbsp coriander leaves and saute well. 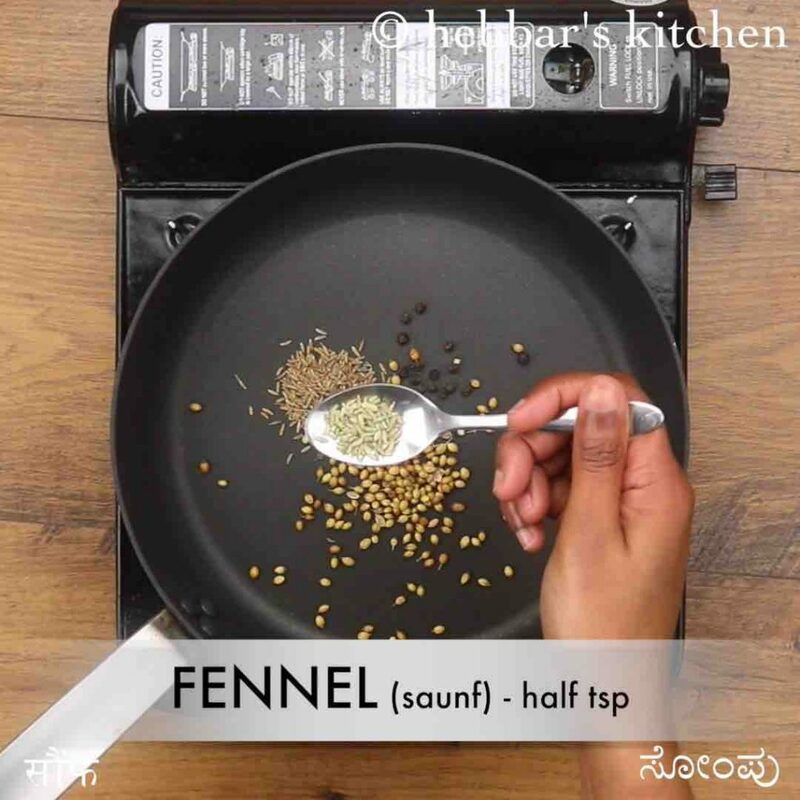 prepare the spice mix by dry roasting ½ tsp cumin, 1 tsp coriander seeds, ½ tsp pepper and ½ tsp fennel. blend to a coarse powder. furthermore, add 2 tbsp curd and 2 tbsp cashew paste. 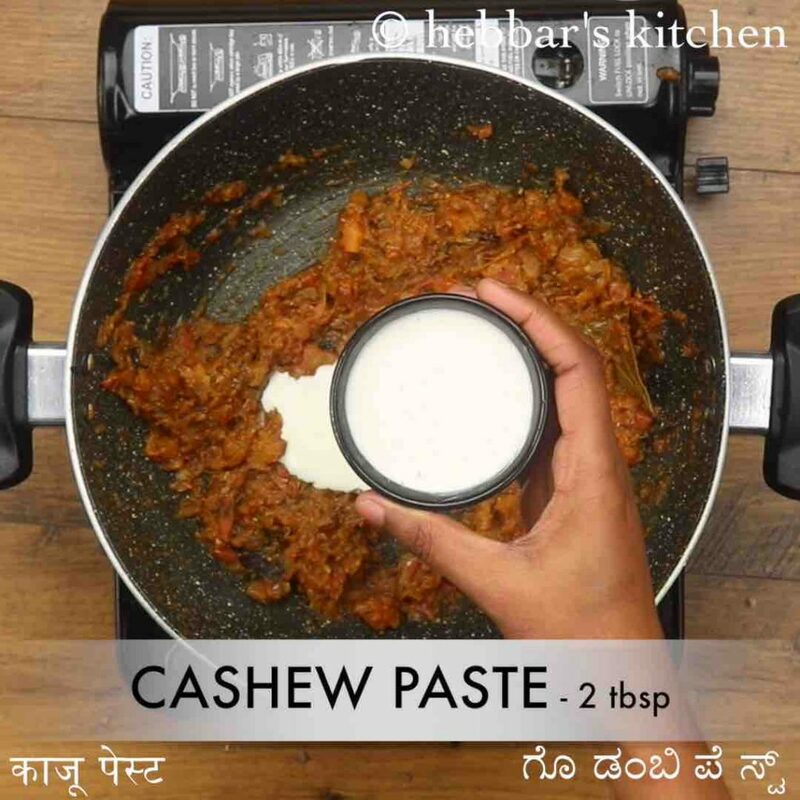 to prepare cashew paste, soak 5 cashews in 2 tbsp of hot water for 15 minutes and blend to smooth paste. also, add cream and give a good mix. 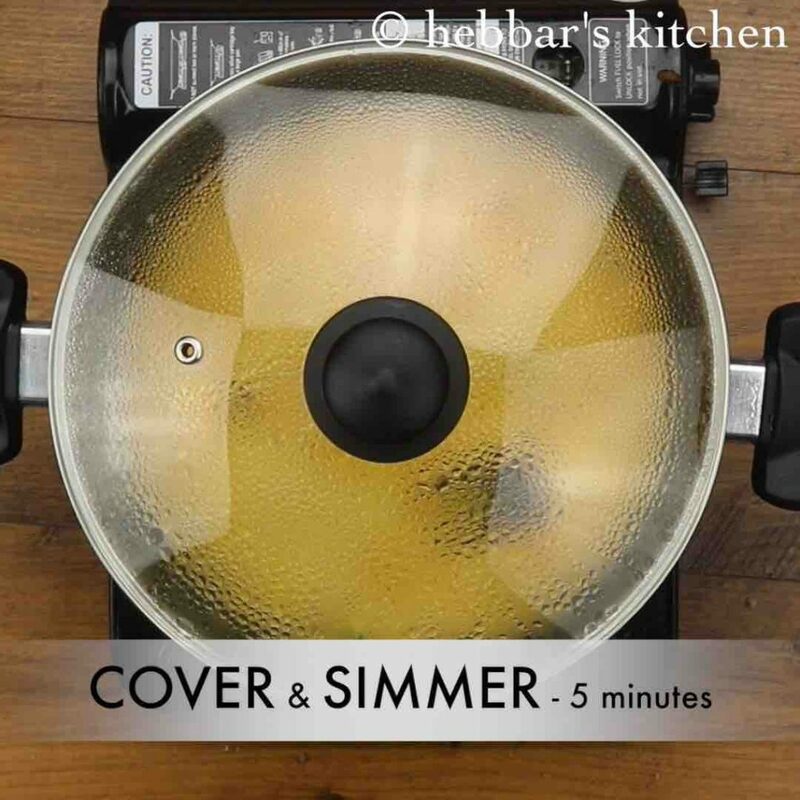 cover and simmer for 5 minutes or till paneer absorb masala. 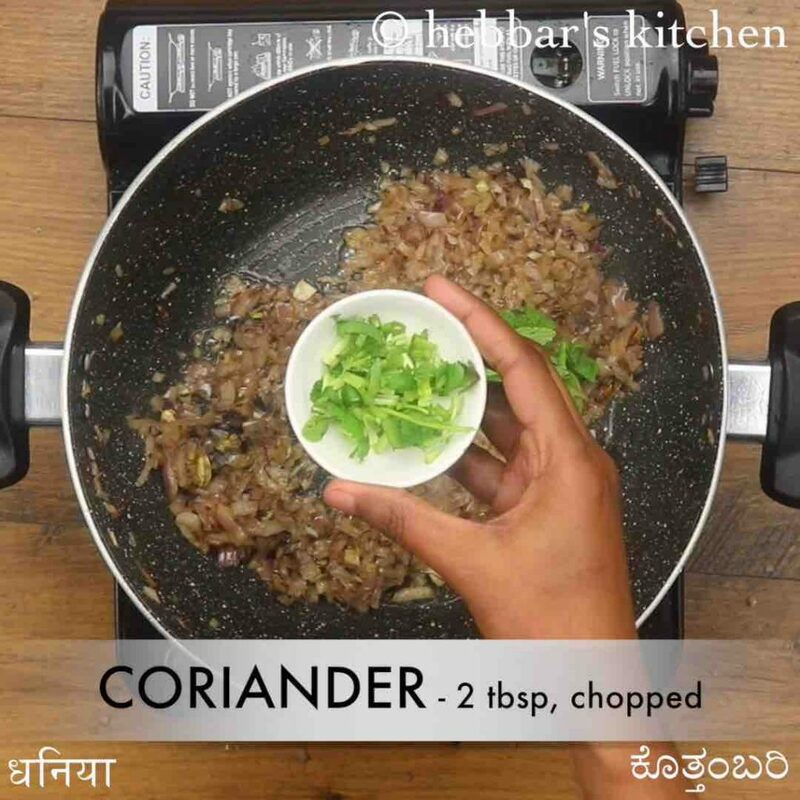 further add ¼ tsp garam masala and 2 tbsp coriander leaves. mix well. firstly, adding cream is optional. however, it helps to get the restaurant flavour. 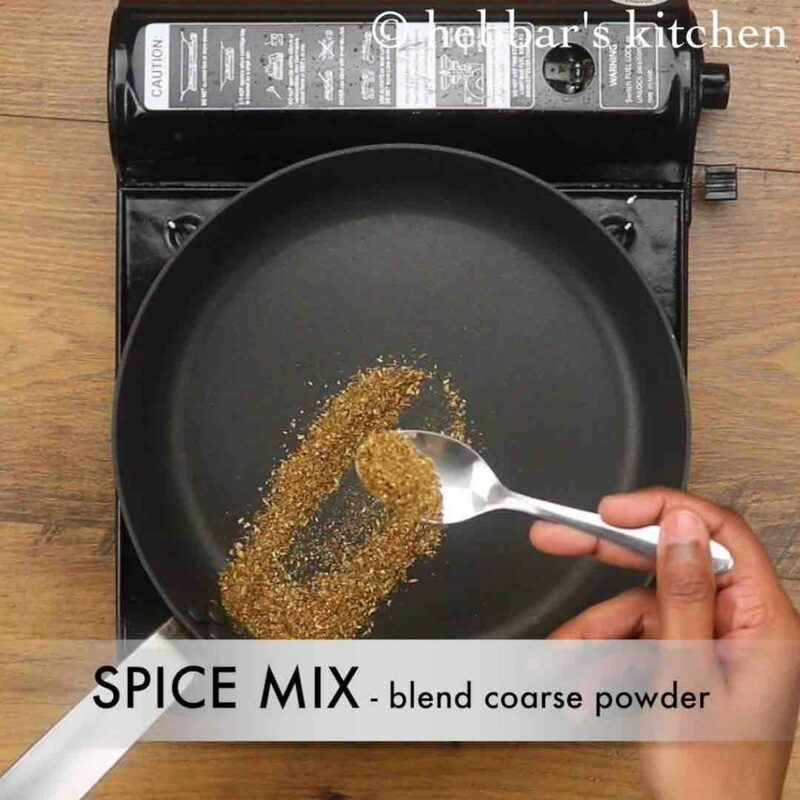 also, use freshly roasted and powdered spice mix for more flavour. 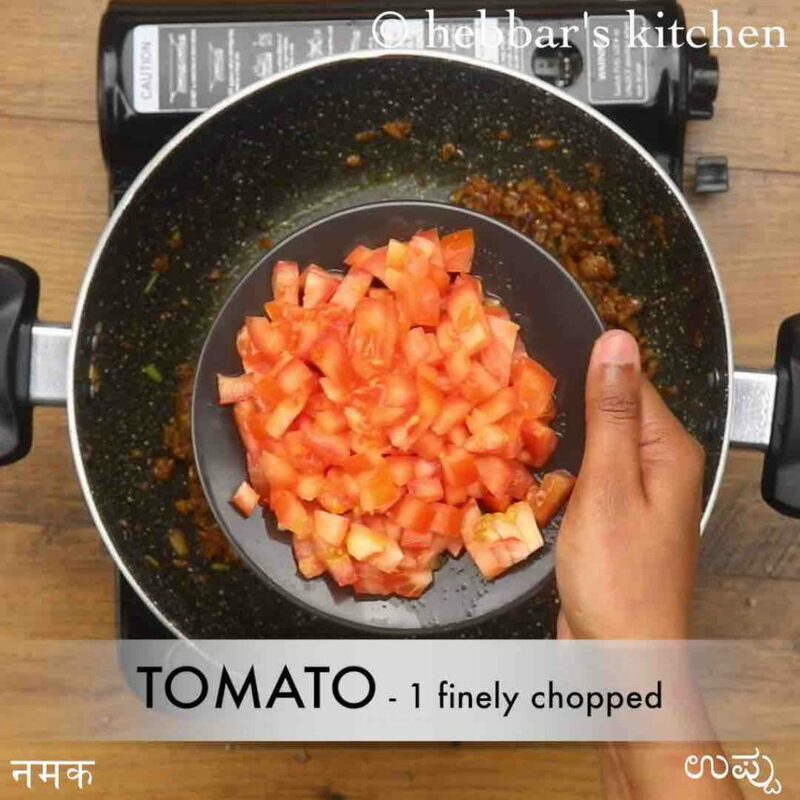 additionally, cook tomatoes well, else the curry tastes tangy. finally, use moist and fresh homemade paneer to prepare paneer capsicum curry.